Next Frontier: Carbon Emissions … From Space! Space tourism might sound like a vacation that’s well, out of this world, but making trips to the great beyond (in hopes, perhaps, of nabbing that Foursquare badge from astronaut Douglas Wheelock) will come at a heavy price for the climate. A new study shows that over a period of 10 years, private rocket launches could produce enough black carbon emissions to change global temperatures and accelerate climate change. The study, which is being published by Geographical Research Letters, looks at the potential impact of commercial space tourism by running simulations of the black carbon, or soot, emissions from Las Cruces, N.M., Nature.com reported on Friday. Las Cruces is home to the recently opened Spaceport America, where companies such as Virgin Galactic plan to launch commercial space flights within three years. 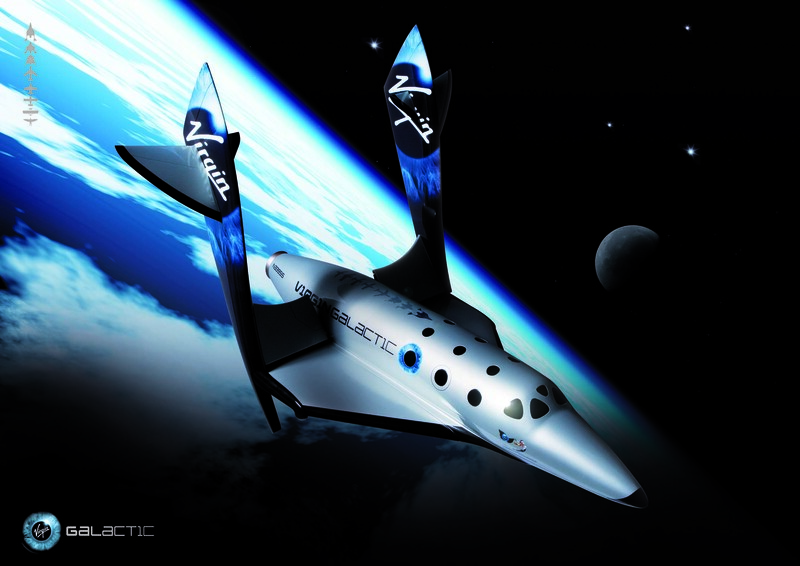 Sir Richard Branson isn’t the only tycoon who wants in on the space party. Tesla Motors (s TSLA) CEO Elon Musk also dreams of bringing space travel to the common folk. Musk founded Space Exploration Technologies, or SpaceX, in 2002 and has poured a lot of his personal fortunes into the company. SpaceX, based in southern California, ran a successful flight to the Earth’s orbit with its Falcon 9 in June this year. The simulations, conducted by researchers from Aerospace Corp. in Los Angeles and the National Center for Atmospheric Research (NCAR) in Boulder, Colo., show that black carbon emitted by 1,000 rocket launches per year over a 10-year period would lead to a layer of soot hovering in the stratosphere within 10 degrees latitude of the launch pad. With this many launches, temperatures at the polar regions would be expected to change by 1 degree Celsius and melt polar sea ice by as much as 15 percent. Nature points out plans by some companies, including Virgin, to use a hybrid rocket engine that burns synthetic hydrocarbon and nitrous oxide, will produce more black carbon than what can come from conventional rocket engines, which run on a cocktail of kerosene and liquid oxygen. The researchers want to do more detailed studies on the potential impact of commercial space flight and hope to enlist the help of this fledging industry. Certainly, it’d be a good idea to start planning for ways to cut the industry’s carbon footprint before it becomes a big business. Spaceport is already eager to market itself as a greentech supporter. It’s looking for developers to build solar power plants on site. The federal government already has committed big money to help these private companies become space carriers. Congress recently approved $1.6 billion for NASA to fund private projects that can bring astronauts and cargos to the International Space Station. Demand Response as the Back Door Smart Grid? in australia, We would like to see your permision to post some content of your blogs. what? my god, i think we have to realize one single simple fact: is it necessary to spend (or to waste? )millions of dollar just to spoil our earth? no no no. wouldnt that be something,,WOW.. if only…it some what way it sounds a lil dangerous,like what if something went wrong?. “Man” won’t be satisfied until we attract or mistakenly bring back to Earth some form of “life” that will ultimately destroy us, IMO…and Yes, I have watched many Sci-Fi films going back to the days of the original “Outer Limits” in black and white. Very nice article. However, history has shown us so far, that science advances are always accompanied of some sort of waste, due to energy Inefficiencies. Today, even with all this new technology that surrounds us, the mankind has not been able to solve one of the most important questions in physics: How to be 100% efficient. No loses, no waste. I think we should try to solve this before making commercial space flights a reality for all (yeah right for all ïŒ). Especially when space flights are only good for a few, just a FEW! Just think of how much research could be done with the money these people is paying for a short flight to the space. Jealous, maybe, canâ€™t deny it, but there are much more important things to which money can be invested. Yes, you may think but what about the research that comes in hand with this achievement? but is like prototype cars we see them on the auto shows, but they never make it to the market, because either they are not commercially feasible, or simply nobody can afford to buy them. Anyway, I feel identified with your article. Hmm. I fail to see how this one can be properly greened. Maybe as a species we just have to accept we can’t do some things..? Reading your blog makes my head hurt! I can not even comprehend the concept of space tourism. very nice blog and congratulations on your Freshly Pressed highlight. I think something like 380 people have already signed up for Virgin’s spaceflight. $200K just for 5 minutes of weightlessness seems like a lot though; it might be cheaper to book the vomit comet (https://secure.wikimedia.org/wikipedia/en/wiki/Vomit_Comet). I meant of course lay people, I’m all for astronauts, if they are learning things! Evie, I think this thought could be answered both ways. I mean, if a person is passionate enough to go to space and want to spend that much, then I say, “Why not?” But, not many people feel this way. More bogus research. CO2 has a specific gravity of 1.52 which means that it is 152% heavier than air and sinks to the ground when released thus making it impossible for it to be a greenhouse gas. The soot will also float back down to the ground. These scientists expect us to believe that when it comes to gasses that the Law of Gravity has been suspended. There are no scientific experiments done according to the Scientific Method proving global warming. It is all a big HOAX. I do find your reply very interesting, John. If that were the case, the 1/2 of a percent CO2 in the atmosphere would all be found within a few hundred feet of the ground, and the concentration of CO2 near the ground surface would have already killed us. Other properties keep things mixed up in the atmosphere. Yes, those soot particles will settle, but considering their size and the strength of winds, it takes awhile. Interesting. But, is a trip to space really worth it to the average person? I mean, what benefit does it really have? If people actually go to space other than scientific study, then other than for the benefit of experience, what do they actually gain? I just don’t imagine that many people wanting to go to space to begin with. I am concerned about potential pollution and climate change as a result of carbon emissions from space travel. – Why do you want to go to the grand canyon? – Who care about looking at the beauty of Hawaii? What would you gain from these two ? But, the problem is that going to the Grand Canyon is not like going to space. It takes a long time to go to space and all the hassles that goes along with it; however, going to Hawaii and the grand canyon, a person doesn’t have to leave the planet. It’s quick and easy. But, I do understand your concern about this. If it becomes as easy going to space as it is going to Hawaii and the Grand Canyon, then I can imagine a cause for concern. The fact is that a lot more people would rather go to Hawaii than space. It’s no contest. In space, there’s just darkness and you just float around the spacecraft. Meanwhile, going to Hawaii is a dream to many people: the hotels, the beaches, the culture. Yes, but climate change is a figment of our imagination don’tcha know? Yes, I’m ok with leaving space travel to astronauts and our science-fiction-fueled imaginations, too. It’ll cost ya $200K to travel the new Virgin Airways space craft to the moon. Make sure you go to the bathroom before you leave though, there’s no potty on board. This ‘space hopping’ is just another way to burn up more ever cost-rising energy we can’t replace. We need to start getting serious about world problems. Too many people without enough to eat, too much pollution, too much absorption of good agricultural land, much of it going to make transport fuels, etc, etc, and so forth. Corruption and crime, a lot due to shortages, shortages, lack of jobs. The overfishing, over logging, overpopulation, over consumption of water. Can’t we see or appreciate how we are already damaging the Earth, and so much of this damage is due to our millions of forms of triviality involving huge expenditure of non replaceable night and day energy usage ? And the Earth’s nature dies more daily, all around us, and we are too dumb, deaf, blinded by our own frivolity to be satisfied by basic needs that, already, so many are without. I read the comments to that nature.com article. Yikes. And the Freshly Pressed post I read right before this one was about the “Rally to restore sanity”. IRONY! Perhaps some of those commenters are victims of another form of pollution – from leaded gasoline, that better explains their position. It’s one thing to provide a productive, logical counter argument, and another to base your argument on answers received through a tin-foil hat. That said, I was under the impression that soot in the stratosphere causes “global dimming”, that prevents solar radiation from reaching the earth’s surface. This is similar to volcanic ash causing a temporary cooling. Perhaps I have to wait for the actual research in order to address the confusion.